We’ve been in the wave kite business for 10 years now and have always been at the forefront of design, creating equipment to suit the style of riding we love. 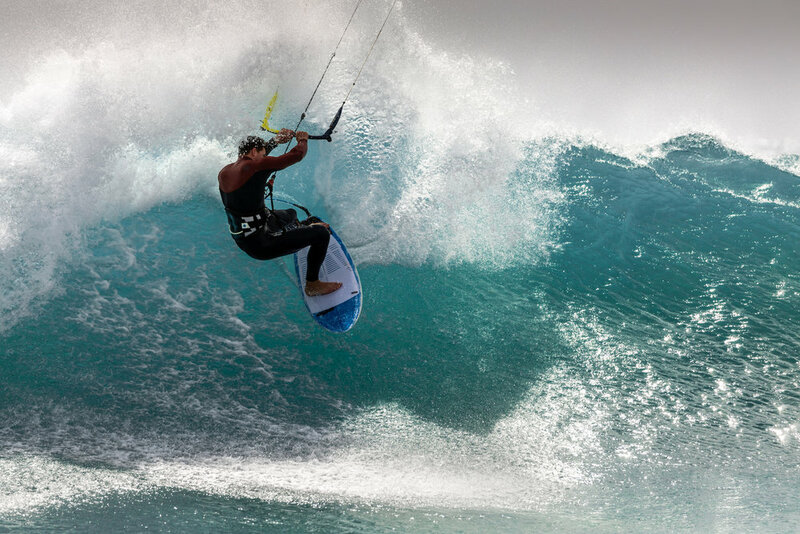 These days we’re still passionate about the waves but have a larger range of kites to suit different riders. We wanted to create a wave kite that turns super fast but at the same time keeps the best elements of our early BWSURF Noise models, primarily drift and stability. With the Æ2 we can proudly say we’ve succeeded in this mission. The Æ2 is a complete re-design with a smoother profile and faster turning achieved in part through altering arc shapes through each size. The response on the wave and drift is far greater than any other kite we have made or flown. A tricky combination to achieve but one that delivers a far more user-friendly performance to the rider and will make riding in waves (or landing freestyle tricks) smoother and more achievable for all levels of rider. Each size has been designed for the specific conditions and is not simply a scale up of the shape. It has different over all aspect ratios through the range; lower in the smaller and larger sizes, while maintaining a medium aspect through the mid range for best performance. The Æ2 offers an enhanced sensation while riding the wave yet you don’t know the kite is there. After the first turn for initial setup the kite will just follow you down the line with absolutely no pull, allowing you to ride the wave. But when needed the kite is super responsive, just sheet in to get around that section and set yourself up for the next lip annihilation! The Stallion V2 is one of two noseless boards in our range. It's proven to be a huge hit with a range of kiters, from those starting out on a directional board right through to advanced kiters doing freestyle airs. It's great in small-medium waves with its flat rocker and wide tail plus although it runs short (it's noseless after all) the Stallion is really stable for beginners. These same features mean it's also ideal for airs as this extra surface area catches wind and helps keep the board connected to your feet. For a lot of kiters transitioning from twin-tip, it's a really relatable style so they'll feel right at home and can still do plenty of airs and tricks.